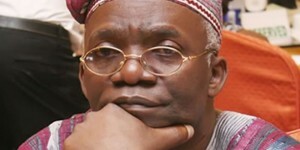 In an unusual development that might give rise to public consciousness and change the shape of recognition for human rights in Nigeria, human rights lawyer Mr Femi Falana has sued the Federal Capital Development Authority (FCDA) the sum of N100 million as punitive damages for an accident he sustained on his leg. “I broke my leg and I am even wearing Plaster of Paris and I was even hospitalised. So, I won’t like the ordinary Nigerian leave it to God. True to his words, he is not leaving it to God, rather he has taken legal action. He has filed for a damages of #100M against the FCDA as he claims the accident gave him several pains and trauma. The suit was established on the following grounds “the defendant ought to know that leaving a manhole open in the middle of the road was dangerous for all road users, especially pedestrians. “The defendant owes the plaintiff a duty of care to ensure his safety while walking on Sheu Shagari Way, Maitama district, Abuja. “The plaintiff specifically avers that he experiences severe and excruciating pain when he is walking from one point to the other. “The plaintiff avers that the defendant’s negligence caused the accident which led to the severe sprain on his right knee. This might seem trivial, but it is important the public ministries and government agencies be held accountable for negligent practice. Forgetting to replace manholes on a road as busy as Shehu Shagari way is the very example of negligent practice. Perhaps this will force the FCDA to take their practice a lot more seriously. It is a bold move by the legal luminary has signaled another chapter for Nigerian human rights development.